Before you use any text, images, data, or other materials on this Site, please carefully read the terms and conditions of this license agreement. By using any of these materials, you are consenting to be bound by this agreement. This Site is provided by The League of Certified Coaches, LLC and/or its affiliates and subsidiaries for your and others’ personal enjoyment, subject to the terms and conditions of use. In using the Site, you are consenting agreement to these terms and conditions of use. The League of Certified Coaches, LLC may change these Terms periodically without actual notice to you. Such changes will appear on the Site. In using this site after posted changes, you agree to accept those changes, whether you have reviewed them or not. If you do not accept all of the terms of this agreement, you are not authorized to use any materials on this site. All materials on this Web site and all materials contained herein are the property of The League of Certified Coaches, LLC. The only exceptions are copyrighted images and other materials owned by others, which are so indicated. This agreement gives you no ownership rights to any materials on this site. This site and all materials on it are protected under United States copyright laws, which give creators of original works of authorship the exclusive right to use their works for a limited period of time. With certain exceptions, copyrighted materials may not be used or copied without the express written consent of the copyright holder (The League of Certified Coaches, LLC). This agreement describes the uses which you are permitted to make of the materials on this site. Any commercial use of the materials on this site is strictly prohibited. You may not sell, redistribute, assign, sublicense, or otherwise transfer these materials, copy them for other than approved uses (see “License to Use” above), publish them on other Web sites, in other media, or for personal gain, or remove any copyright or trademark notice, without The League of Certified Coaches, LLC’s express written permission. All materials on this site are made available to you as-is. The League of Certified Coaches, LLC makes no warranty, express or implied, as to these materials, their title, accuracy, non-infringement of third party rights, merchantability, or fitness for any particular purpose, or the performance or results you may obtain from their use. Under no circumstances shall The League of Certified Coaches, LLC be liable for any direct, incidental, special, consequential, indirect, or punitive damages that result from the use of, or the inability to use, the materials in this site. If you are dissatisfied with any materials on this site or these terms and conditions, your sole and exclusive remedy is to discontinue using or visiting this site. This site contains links to other sites, some of which may be affiliate links. 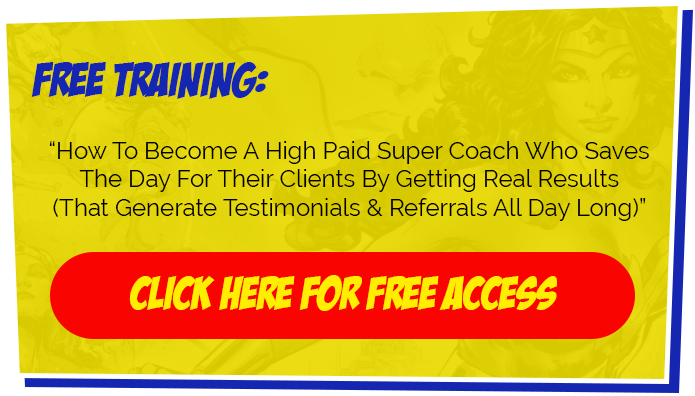 These links do not mean that The League of Certified Coaches, LLC necessarily endorses these sites, nor is The League of Certified Coaches, LLC responsible for their contents or use. Any suggestions, creative ideas, inventions. or other materials which you submit to this site shall become the property of The League of Certified Coaches, LLC. The League of Certified Coaches, LLC may disclose or use any such submissions for any purpose without your consent or compensation therefore. By using the Site, you agree to provide true, accurate, current, and complete information about yourself as requested. If any information provided by you is untrue, inaccurate, or incomplete, The League of Certified Coaches, LLC reserves the right to terminate your subscription and refuse any and all current or future use of the Services. Not to impersonate, stalk, or harm another, or act in any manner that may negatively affect other Visitors and Authorized Customers.